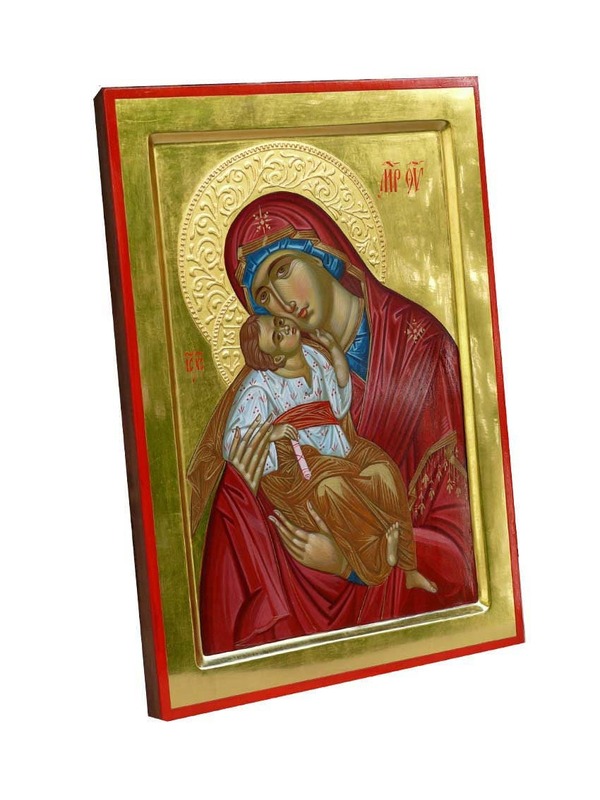 The icon is painted on a dry wood panel, reinforced with wood bars. 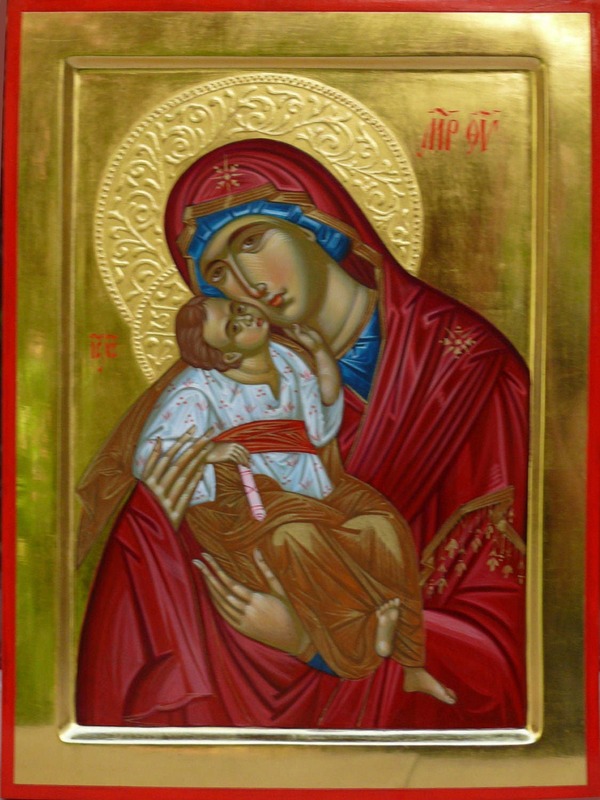 The painting technique is called egg tempera. 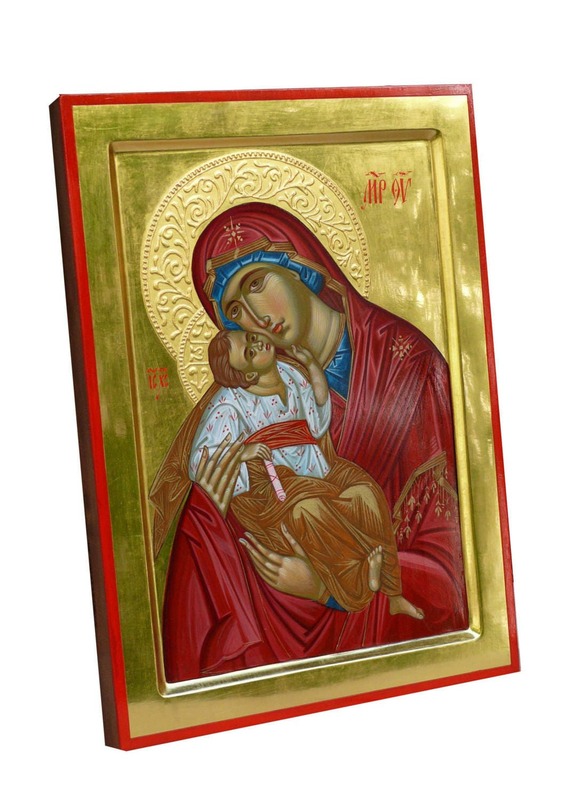 For the halos, and background icon, it was used gold leaves hand polished. 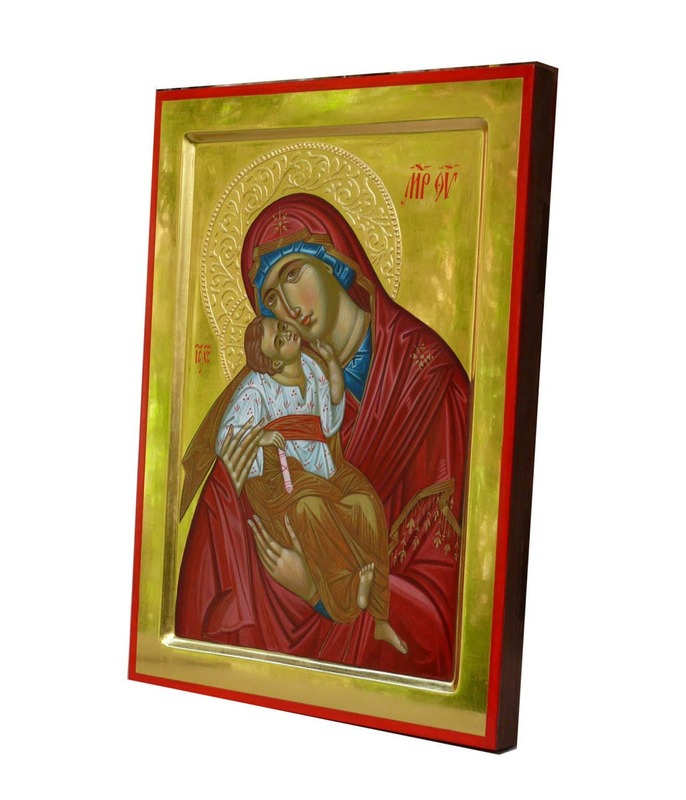 The icon is varnished with a couple of layers to assure a long-lasting image and to make it easy and safe to clean it from dust. The back is varnished with darker tone semi-transparent varnish for a nice finish.